Special Programs is specialized funding from the State of Michigan and the Federal Government to assist students who are struggling with academics. Funding has provided for tutors, counselors, Indian education, professional development and after school and summer school programming. 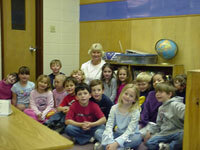 Community Schools provides a program leading to a high school diploma for area youth and adults.